The big question for evolutionists is, since our DNA breaks down when left to itself, how did our ancestors survive before the many and complicated DNA repair mechanisms evolved? As this SUMO protein story shows, the more we discover, the more complicated it is. SUMO proteins certainly bear the hallmark of design. They just don't get it, do they? Cancer mutations are examples of mutations that are harmful, and which will tend to make the organism less likely to survive (although if the onset of cancer is more often after rather than before reproductive age, the mutated genes are likely to be inherited). If DNA repair mechanisms have evolved, it's because they make it more likely that the genes responsible for those mechanisms will be inherited. What's so difficult to grasp about that? As for bearing "the hallmark of design" — it looks designed, so it must have a designer — yeah, yeah. (Have any of these creationists actually read On the Origin of Species?) DNA breaks down when left to itself? Mutations on the whole are neutral — they don't affect survivability. Some mutations are detrimental, and are therefore less likely to be passed on. Some mutations are beneficial, and are therefore more likely to be passed on. It really isn't that hard, surely? My vote for the worst idea of 2009 — at least in the “faith wars” — is that science and religion provide complementary (and equally valid) “ways of knowing.” It’s an idea that’s been bruited about by not just the faithful, but by atheist accommodationists like those running the National Center for Science Education. This idea is terrible because a. it’s nonsensical, b. its proponents never examine it critically, because if they did they’d see that c. it’s wrong. It’s a mantra, a buzz-phrase. An interesting essay on the origins of supernatural fiction. (The title, however, is misleading — it's not about TV.) Some people automatically assume that if you write about ghosts you naturally believe they exist. Not so; I think the evidence for the existence of ghosts is extremely poor, but that doesn't stop me writing stories in which they feature as "real" entities. One thing that does annoy me about some "hackwork" (to use Colavito's term), and which does often apply to TV as well as film, is the idea that not only is the supernatural element real, but that it is also completely understood. I've lost count of the number of B-movie horror plots in which some character ("expert", "scientist", "investigator" or whatever) takes ten minutes to perform some massive infodump that leaves nothing to speculation. That usually occurs in the first half-hour, which at least gives me the chance to say, "Thanks, but no thanks," and switch off. Celebrations! (or something....) — this is my 200th Evil Burnee post. 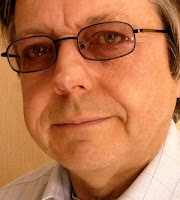 Chris French appeared on Radio Four's Beyond Belief programme today, in a discussion about guardian angels. And yes, it was beyond belief. Prof French did extremely well to keep his cool in the face of a barrage of total weirdness. 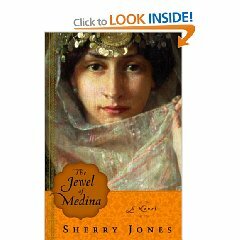 The Jewel of Medina had been in my pre-order/save for later list on Amazon for many months, waiting for it to be finally published. 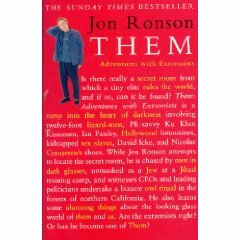 The self-censorship chill surrounding this novel after it was unceremoniously pulled by publisher Random House had piqued my interest in what could have made them so jumpy, given that until they received an unfavourable report from one of their pre-publication readers they were keen to spend tons of money to promote it. Then the British publisher was bombed and yet again the book was withdrawn. But when I saw that this story of Muhammad's favourite wife was available on Amazon's Kindle Store, for immediate download, I requested a free sample (which Amazon allows Kindle users to do) and a minute later I was reading it. It seemed like a straightforward fictional tale about some recognisable historical figures, told using unfamiliar-to-me terminology (which I later found explained in a glossary at the end of the book). Much has been made of the Prophet's paedophilic tendencies in taking a wife aged nine years (she was betrothed to him at age six), but in this fictional account of her marriage to Muhammad, though A'isha is indeed married aged nine, it's not until she is 15 that her marriage is consummated. I've no idea how accurate this narrative is. Sherry Jones, the author, who is not a Muslim, explains in a Q & A at the end of the book that she did take certain liberties with the historical account, but this particular aspect is not mentioned. Being the first-person story of a child, this is inevitably a self-centred story. A'isha is headstrong and full of her own importance, alternating with bouts of extreme self-doubt, with the result that her fickleness tends to tedium after a while. The shallowness of her vision is reflected in the narrative, though this might be expected in a child's story. It might also explain why we never get any real sense of place; Mecca and Medina are locations of geographical uniqueness, but A'isha, constrained as she is in purdah and subsequently in Muhammad's harem, tells us little of what these places are like. She makes frequent visits to the poor in a "tent city" but all too frequently we are confined in her thoughts of other things. At one point she runs away, almost indulging in a fling with her childhood sweetheart — this is giving nothing away, as the conclusion of this event is what opens the story. Unfortunately it looks as if this messing with the structure of the novel might have been done at the last minute, as the text appears to have been simply clipped from the middle of the novel and plonked on to the beginning, with only rudimentary attempts to fix the ragged edges left behind. There are some moments of pithy and evocative writing towards the end of the novel, but not enough to balance the shallow and often leaden prose that goes before. This may have been the author's intention, to show A'isha's outlook and intellect maturing, but it seems ill-judged to fetter the majority of the narrative for such small effect. One aspect of the novel's style, which I'm assuming isn't an artefact of its formatting for the Kindle, is an unconventional quirk in the way dialogue is shown. Conventionally, when someone speaks and then someone else speaks — whether or not there are dialogue tags (he said, she said and the like) — the second speaker's words are shown in quotation marks, but in a new paragraph. Many times this format is used in The Jewel of Medina, but it turns out that the same person is speaking. Unfortunately this format quirk isn't sufficiently different from the conventionally accepted (and most popular) style, with the result that it simply confused me, and I had to stop and re-read. Anything that drops the reader out of the narrative is undesirable and an impediment to good novelistic style. The Jewel of Medina is not a bad book, but it isn't a particularly good one either. Its interest lies in its historical subject matter and, inevitably, the controversy surrounding it. I read somewhere that the novel, dealing with the Prophet's intimate relations with his wives, was pornographic. It isn't. I've read some Primo Levi, but not Francis Collins. It seems to me, however, that Jerry Coyne's take on theodicy is exactly right. One to bookmark for when you need it (and you will). Two amazing observations relevant to the creation versus evolution argument flow from this. First, is it not astounding that the cells of our bodies are able to survive so well for so long under such an onslaught? Secondly, and most devastating for the evolutionary hypothesis of natural selection acting on chance mutations, we see that random copying errors break down and destroy rather than build up and create as neo-Darwinians insist. How can people believe in information-adding beneficial mutations in the light of the scientific facts, right before our eyes again in today’s news, that mutations cause cancer? Once again, the actual science validates the genetic entropy hypothesis, the idea that DNA sequences start out good but tend to go downhill with time and chance, the opposite of what neo-Darwinism requires to be so. Most mutations are neutral. Some are detrimental to the organism, and some are beneficial, in that they confer better adaptation or survivability for the organism in its environment. To say that DNA sequences "start out good but tend to go downhill with time and chance" betrays the creationist mind-set of purpose — as if there's something that so-called neo-Darwinism is trying to achieve. Evolution does what it does because it has no choice. "Goodness" simply doesn't come into it. The Atheist Experience: Hooray, Mormons! An object-lesson in dealing on your doorstep. Before we throw up our hands in horror, let's have a look at the facts. A slightly equivocal report of the debate I recently attended. 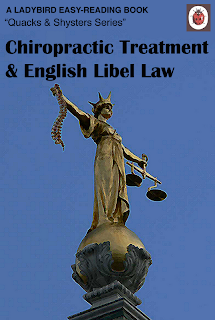 Even though Nigel Farndale says he voted against the motion (as did I), his article contains some nonsensical assertions — for instance: "The professor of philosophy seemed to have no idea how insulting he was being to the bishop when he compared his belief to the belief a child has in fairies, pixies and goblins." The professor of philosophy was of course A.C. Grayling, the least insulting debater I have ever heard. The idea that this comparison is insulting lies at the heart of the problem the so-called new atheists have with religion, which unjustly claims immunity from offence by right. Greta Christina examines the evidence religious believers offer in support their beliefs. Or she would if they offered any.